"I would anticipate — I am an optimist and a realist — that next year's numbers will be higher than this year's numbers," Andrea Thompson, who oversees arms control at the State Department, told Defense News last week. Thompson was referring to total weapons sales approved by the diplomatic corps in 2019. That's saying a lot, considering that in the first half of fiscal year 2018, the US had already smashed its weapons sales total from the previous year, the State Department's arms exporting agency said in July. According to the official, a new policy on conventional arms transfer (CAT) deals put in place by the White House and the State Department to accelerate the speed at which deals can be completed will be responsible for higher sales of defense products. The new CAT policy allows, among other things, the export of sensitive unmanned aerial vehicle technology that was previously prohibited from being sold to almost all of Washington's foreign partners. The State Department's CAT policy fact sheet calls for the US to work with partners "to expedite transfers" of weapons in support of so-called "essential foreign policy and national security objectives." What "national security objectives" might have been fulfilled by killing 43 children on a school bus in Yemen last month with a bomb made by US producer Lockheed Martin (as Code Pink reported), if any, are debatable. The bomb, dropped by a Saudi coalition plane onto a country many Americans might have difficulty finding on a map, was sold as part of a deal that received approval from the State Department, Code Pink noted, "making the US complicit in this most recent atrocity in Yemen." Thompson, on the other hand, called herself an "optimist" while predicting that the US would sell more weapons of war in 2019. 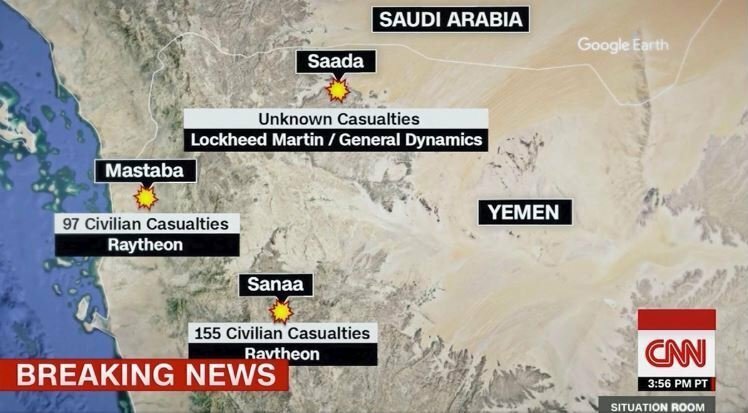 CNN seemingly could not be bothered to report on the war and subsequent humanitarian crisis in Yemen for some time, but finally last month, the news outlet reported that bombs made by Raytheon, Lockheed and General Dynamics had killed hundreds of civilians in a relatively short period of time there. "It's time to stop backing the death of children," Code Pink insisted in its August 20 report. Sen. Chris Murphy, a Connecticut Democrat, finally decided enough was enough. "US bombs. US targeting. US mid air support. And we just bombed a SCHOOL BUS. The Saudi/UAE/US bombing campaign is getting more reckless, killing more civilians and strengthening terrorists inside Yemen," the senator tweeted in August. "We need to end this now." 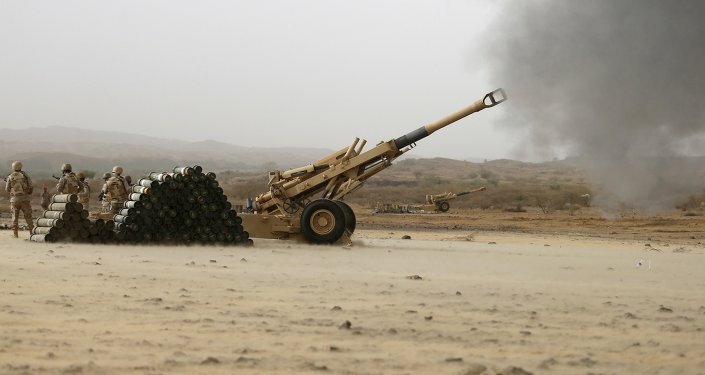 The Saudi coalition against Yemen includes the United Arab Emirates, Bahrain, Kuwait and Qatar; Oman was the only member of the Gulf Cooperation Council that refused to take up arms when the agreement was being circulated in 2015, Reuters reported. Qatar dropped out of the coalition in 2017 amidst a diplomatic standoff with Riyadh. According to the government agency overseeing US arms sales, Kuwait was approved to buy $40 million worth of "various MK-series munitions" on August 2 to be dropped from F/A-1 8s; Kuwait also bought $30 million worth of Hellfire missiles on July 30; Bahrain's purchase of $45 million worth of Penetrator Warhead bomb bodies was approved in May, and the list goes on. The United Nations Human Rights Council report on the school bus massacre "strongly suggests" the Saudi-led coalition "committed acts that, subject to determination by and independent and competent court, amount to international crimes."